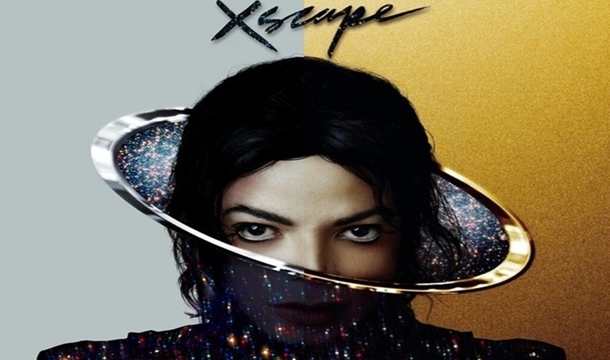 Like all things involving Michael Jackson, “Xscape” is a complicated case. The 2nd piece of unheard material released after Jackson’s death in 2009 has been “contemporized” by a handful of producers (Timbaland, Rodney “Darkchild” Jerkins, Jerome Harmon, etc.) selected by Antonio “L.A.” Reid. The task is meant to make Jackson’s incomplete or buried tracks seems more modern and fitting on the charts the way Jackson would’ve wanted them to be. However, there is a slight complication with the release of the album: there is the standard version with the 8 “contemporized” tracks, and a deluxe edition with the standard 8 along with the songs in their “original” versions and a duet with Justin Timberlake. So the question is; are the “contemporized” tracks worthy of their new polished reworking or should the original versions have been left alone? Let’s take a look to see if “contemporizing” is worth it. The “contemporized” version is definitely more complete than its original version. Propelled by a soft piano and handclaps, Jackson’s voice is smooth as he woos the new love he has in his life. When he hits the chorus, it’s jubilance with a subtle electric guitar strumming and strings washing through the bridge. While it may be “contemporized,” this version could easily fit into Jackson’s disco breakthrough “Off the Wall.” The duet version with Timberlake is even better, if only for having a bit more skip in its step. More focus is placed on the live band (drums and guitar) to make it sound funkier. Timberlake is a great duet partner to Jackson when they trade lyrics and have their voices synched together. The original version sounds more like a demo (a polished demo, but a demo nonetheless), with just finger snaps in the background and the piano. With an electronic drumbeat and glimmering synths, this is another light R&B track “contemporized.” Jackson again goes back and forth between his soft coo and his signature gritty singing about a woman who lied to him and has another family. It’s not hard-hitting, but easy to bob one’s head to while cruising in a car, which is an odd thing for a song about infidelity to do. The original version is a bit slower with more cymbals than drums. Jackson’s vocals are also slowed down a bit, which really throws the song off. The music itself could’ve been an interlude, but his vocals don’t match up to make a working song. Here is another happy love song to stroll down the street to, weather permitting. Jackson talks about the August moon and waiting for the stars to come out. A more progressive drum loop drives the chorus, with light horns punctuating the end of each verse. It’s a good modern love song, but it actually gets beat by its predecessor. The original version has music much more fitting to Jackson, with 80s style electric drums and synths. The original version sounds like it could’ve been recorded during the sessions for “Thriller” or “Bad.” It’s sounds much more familiar to the classic King of Pop. A smooth group of horns carries the listener through the bridge, only adding to the lightness of the song. Believe it or not, Michael Jackson is apparently a folk music fan. At least, a fan of America’s 1972 hit “A Horse With No Name,” because he reworked into this rubbery dance track. Here, Jackson talks about being taken to a mysterious happy place by a woman who falls for him and doesn’t want him to leave (think “Hotel California”). Jackson is backed by a bouncy drumbeat and a funky organ riff to create a great dance beat. The original version sounds like a clear rip-off of America’s hit, considering it uses the exact same acoustic guitar riff to drive the song. Electronic drums and Jackson’s aching vocals help keep it within the storytelling aspect of the America song, almost like Jackson is telling the listener the story by a campfire. Both songs are good, but the “contemporized” version gets the point for at least having a bit or musical originality. The original mostly sounds like Jackson doing a karaoke cover with his own lyrics. This track, recently performed via hologram at the Billboard Music Awards, is a thumping dance track that would’ve given Jackson prominence on the modern dance floor. Regarding a girl who is, of course, a “slave to the rhythm,” a fast drumbeat, strings, and a beeping synth beat. Jackson sounds alive and agitated as he has on “Billie Jean” and “Smooth Criminal.” The original version sounds hollow and incomplete, almost like a half-baked idea he had from the “Dangerous” sessions. The drums are very tinny and there’s nothing else to back Jackson’s energetic voice up. This one definitely needed an overhaul. For the record, this song title is ripe for a joke but let’s avoid that and stay on point. Here is probably the most eclectic song in the album, with its heavy organ, epic string section and clapping drumbeat. Jackson talks about a young girl alone in the big bad city in his stressful voice and some impressive high-pitched backing vocals. There is also a guitar freak-out in the bridge and the outgoing of the song to create a more frantic atmosphere. The original is definitely a 80s demo, with organs similar to those hear on “Bad” or even a classic Prince record. Jackson’s vocals are slightly louder, but it’s not as alive as the contemporary version. The guitar is tamer, it’s not as dance floor ready, and there is annoying wood block being hit in the chorus that is almost as loud as Jackson. With its high energy, thumping beat, and Jackson at his most powerful, this may be the best song on both versions of the album. The “contemporized” version has the same urgency and tension as “Bad,” Smooth Criminal,” and “Dangerous.” Horns and synths slam in and out of the song, with backup vocals adding great drama to Jackson hustle and strut through. The drum beat uses fast snare hits to pump up the chorus, while a soft piano allows Jackson to take firm control of each verse. The original version has more focus on horns to give the song an old school feel to it. There is even an accordion playing in the verse to create a more interesting atmosphere. It sounds like Jackson is in the middle of “The Godfather,” challenging Vito Corleone for power. Both songs are great forms of pop escapism and the centerpieces of both versions of the album. The final track on the album is Jackson in “Leave Me Alone” mode, rejecting the views and control of “the system.” The “contemporized” version is a tight R&B jam with horns and funky guitar trading blows as Jackson huffs and puffs through. The drums are not hard-hitting, but effective to move bodies on the dance floor. However, the original version is way more progressive and hits harder. Twitching electronic drums and keyboard blips go in and out of the song. It sounds like a modern version of “They Don’t Care About Us,” but more aggressive and dance able. It’s a four on the floor stomper that puts Jackson in a more modern context of pop. This entry was posted in Uncategorized and tagged album review, king of pop, Michael Jackson, Xscape. Bookmark the permalink.